You just found the right place to learn about this! The relationship between the gold market and bitcoin is coming together again. While Bitcoin reaches its highest point, gold seems scarce in Google’s search trends, since for the first time the cryptocurrency outnumbers the precious metal. The search term ‘Buying Bitcoin’ is now more frequent than ‘buying gold’ for the first time this year. If on the other hand, what you are looking for is to buy gold using Bitcoins, then you are in the right place. Today we bring you an essential guide on how to use Bitcoins to buy gold. There are several options at the time to buy gold with Bitcoin. So, here you’ll see where to do it and learn how to use Bitcoin to buy gold and silver. Some companies allow the purchase of gold using Bitcoins, like APMEX, the one that pointed the next argument to announce the allowance of Bitcoin as a payment method to buy gold. With these declarations, APMEX has made clear that users will be able to make purchases using bitcoin regardless of the time or place. Also, since now most international credit cards accept cryptocurrencies such as bitcoin without conversion, this makes payments much more accessible. On the other hand, another option to buy gold with Bitcoins would be the company CIODE, which through the BitPay platform, accepts Bitcoin so you can invest safely and economically. Using this payment gateway to make the purchase has an added advantage since the shipping of the acquisition is done in 24 hours. Once the customer makes the payment, BitPay deposits the amount in Bitcoin into the company’s account. This new form of payment adopted by CIODE benefits both the buyers and the companies since the transactions are instantaneous. That is why CIODE, with this decision, reinforces its commercial strategy in the market by ensuring its positioning in the precious metals business. Meanwhile, the precious metal industry in the world is gaining innovation from the Blockchain technology. Cointelegraph reported on the weekend of how Royal Mint of the United Kingdom had successfully tested a gold tracking system using Blockchain, with 50,000 blocks already verified before its public release. The spectacular revaluation of the price of Bitcoin in less than ten years of life has made new millionaires who now enjoy that consideration and begin to be seen as such from other markets or industries. Could these new millionaires diversify their wealth in other securities assets? Absolutely. 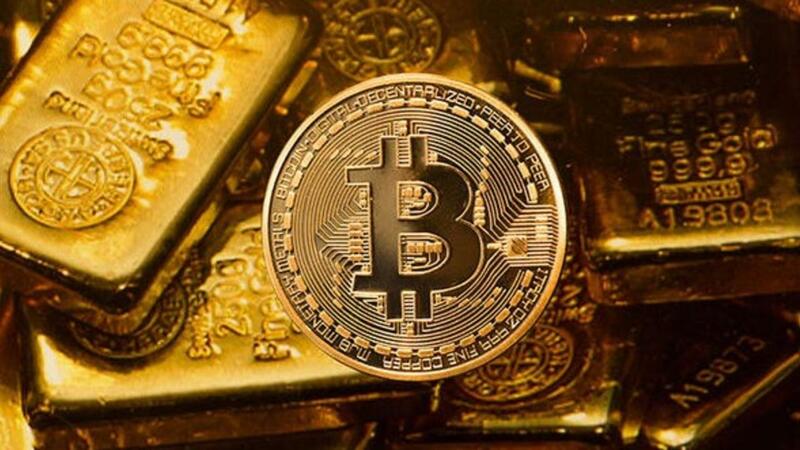 So as you read, there are some companies where you can buy gold paying with Bitcoins; probably in the future, more companies will be interested in selling their precious metals and accept Bitcoin payment method.